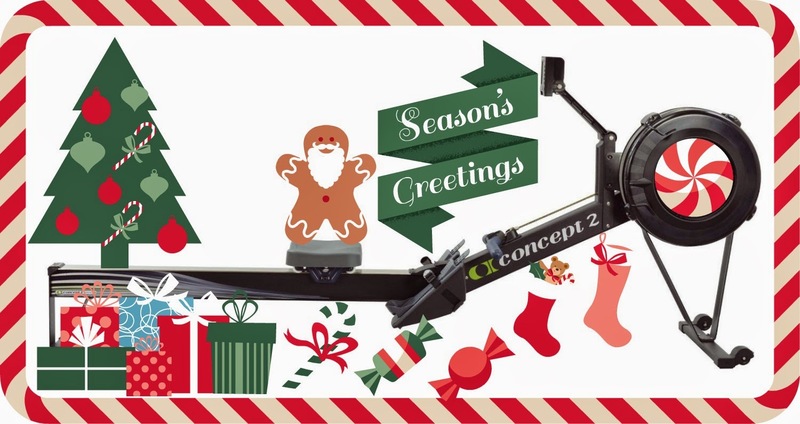 Caroline's rowing blog: Holiday Challenge and a very Merry Christmas! Hey folks, its Christmas Eve and for those of you who celebrate Christmas I wish you a wonderful time with loved ones. If you have been erging away for the Holiday Challenge it is now the final day so you can enjoy some well deserved rest tomorrow (if you are not in the kitchen creating a feast of food for your family). Rest up for a week and reserve your energy for the Virtual Team Challenge that starts on the 1st January 2015. If you need to burn off some Christmas Pudding there is also a week left to contribute to the Cross Team Challenge - only four team mates have entered so far - Thanks Ken, Rob, Jonathan and Bill). The following team mates achieved the Holiday Challenge! Well done to you all! Other amazing achievements come from our hard-working Estonian team mate Rainer and Yorkshire lass Jo. 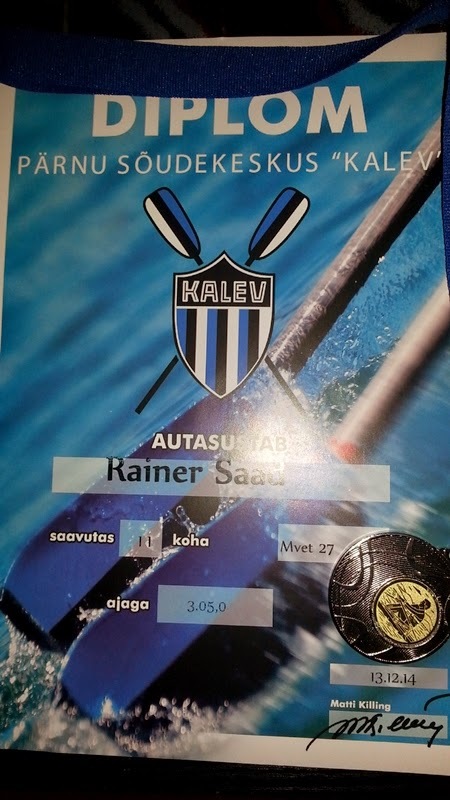 Rainer won a silver medal from Estonian IRC 1000m with a new personal record 3:05,0. He explained it was severe race, but he managed to hold his speed till the end of the race. He feels like half of my lung is probably missing (we hope it has healed up now!!). Competing has given Rainer more confidence before World Record Project that begins in 5th of January. Wish Rainer luck! All I have left to post today is to wish you all a lovely holiday and break with family and friends. I have really enjoyed being your team captain this year and am gearing up for a great team competition in January. See you in 2015!